It is well understood that the Amazon Basin is a complex ecosystem vital to the health of the planet and life as we know it. Ecuador, located on the Pacific coast between Colombia in the north and Peru in the south and east, is home to around 116,000 km2 of tropical Amazonian forest. Ecuador has made impressive progress in terms of indigenous rights: around 68% of the Ecuadorian Amazon is legally recognized as indigenous ancestral territory. In contrast, between 1990-2000, Ecuador also registered the highest rates of deforestation of all the countries in the Amazon basin. In this context, there is a growing array of attempts by government, NGO, and private actors to build conservation or sustainable development initiatives with local communities, all underpinned by the two-pronged aim to conserve forest while generating livelihood benefits. These include eco-tourism, non-timber forest products (NTFPs), payments for ecosystem services (PES), community forest management (CFM), reduced emissions from deforestation and forest degradation (REDD+), agro-forestry, and the list goes on. The problem is that few of these noble ideas actually get to a stage that could honestly be called sustainable – where local communities are driving sustainable development initiatives with local capacities in a way that is financially self-sustaining. More commonly, projects face real challenges to survive beyond initial project funding and to evolve to a stage of local ownership. In the context of climate change, projects that don’t lead to sustainable forest management over 20-30 year periods will not have much impact. After working in the Amazon for years, I realized that unless something is done to address these broad-based challenges faced when trying to link conservation with indigenous community economic development, then the model is redundant. I have dedicated the last few years to developing an organization called PlanJunto that has the mission to “Build Sustainable Community Enterprise,” with a real emphasis on the “sustainable” aspect. PlanJunto’s vision is that local indigenous communities in the Amazon are able to manage their natural surroundings sustainably and in effective cooperation with their allies. PlanJunto might be called a bridging organization because, rather than setting up new projects with new ideas (there are plenty of those), we provide specialized support to help existing projects incorporate a “Sustainable Community Enterprise” element that strengthens their PES, REDD+, CFM, or NTFP project, by really focusing on how this project is going to last for 20-30 years. After two years of refining a rather unconventional business model, improving communication methods, and honing our business pitch, we know our service offering resonates with the needs of our partners. PlanJunto is currently applying its framework and tools to three pilot projects. One is an Amazonian fair trade tea supply chain, the second is a traditional community healing center deep in the forest to treat modern ailments with holistic medicine, and the third is a solar canoe river transportation service linking isolated communities to markets and services and mitigating pressures to build new roads. Despite these projects being varied in nature, they are all dependent on building local community capacity that is able to take these projects, make them their own, and drive them to meet local livelihood needs in service of achieving global environmental benefits. 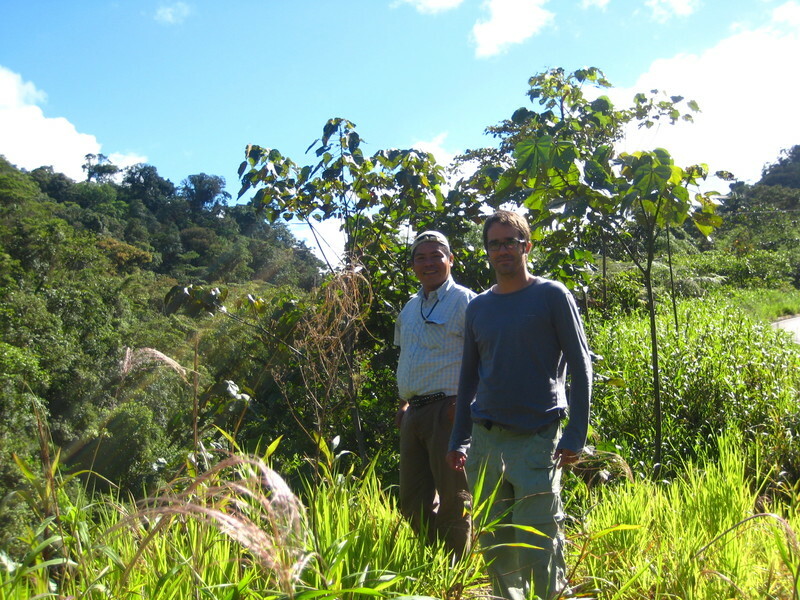 Wain Collen (2014 Fellow) is a South African Ecuadorian, committed to developing new standards for community-based forest management in the Amazon. He has been involved in the forest governance and management field for nearly nine years, and he co-founded a company in Ecuador, called PlanJunto, that builds collaborative forest management systems. PlanJunto’s guiding objectives are to establish forest management processes that are: a) driven by local capacity, and b) in effective cooperation with external allies. If the organization can achieve this, then lasting positive environmental and social outcomes will be much easier to come by. After working in the Amazon for years, I realized that unless something is done to address these broad-based challenges faced when trying to link conservation with indigenous community economic development, then the model is redundant.